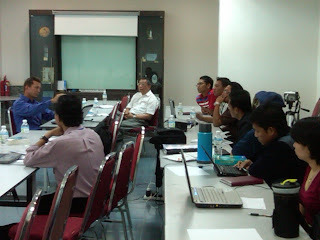 Training was conducted at our Puchong office by Mr Michael Manning on 14-16/12/2009. Michael is currently the Director of Carlson Software Australia and the Sales Representative for Australia, New Zealand and Pacific countries. Carlson Survey, Carlson Civil, Carlson Hydrology, Carlson GIS .. : a range of versatile desktop and high productivity software and tools for the most demanding tasks. They come with build-in IntelliCAD and hence are priced very competitively. This is the last segment of a 4-part series of interview questions posted to Mr Steve Ault, the Technical Support Manager of Navcom Technology, Inc., who conducted training for our sales and field personnel in early November 2009. PointsandPixels: What is your advice to users, p especially in their early stages of adapting GNSS technology? Steve: In terms of learning, maintaining and troubleshooting their GNSS equipment, users should keep in touch with their Navcom dealers (or regional channel partners like Jurukur Perunding) to keep abreast of new features and process improvement techniques throughout the life of the product. They should also be familiar with the Sapphire Technical Reference Manual which contains input and output message structures of the SF-3050. All Navcom manuals are available as downloads on the NTI website. Sometimes troubleshooting tips and common interfaces are documented in the Navcom Troubleshooting Guide. For example, there is a section which describes the logging of data to external flashdrives using Carlson SurvCE. "A properly maintained SF-3050 will provide many years (or decades) of service"
The physics of GNSS signalling is important. If it is necessary to use cables other than those provided by Navcom, users should also read the Product User Guide to avoid making integration mistakes. As always, Navcom and its dealers are available to answer integration enquiries and provide appropriate guidance. As for any piece of expensive electronic equipment, the user should take care of accessories in particular the antennae. Positioning performance is based on antenna phase center and damage, if any, to the antenna would cause internal elements to move and thereby affecting its intended performance. A properly maintained SF-3050 will provide many years (or decades) of service. PointsandPixels: Any other parting remarks? Steve: I look forward to many more years of service to the Malaysian market. We welcome feedback from end users (and channel partners) regarding our product performance, innovative ideas and methods of which you (the end users) have put Navcom equipment to work. 5. Navcom SF3050 multi frequency GNSS receiver data sheet in pdf format. This is the third segment of a 4-part series of interview questions posted to Mr Steve Ault, the Technical Support Manager of Navcom Technology, Inc., who conducted training for our sales and field personnel in early November 2009. Steve: In a traditional RTK system, corrections generated and applied are 'land-based'. In other words, correction measurements are based on singular ground antennae. While providing highly accurate correction data for very localised areas, the impact from spatial de-correlation makes systems such as StarFire very attractive. StarFire is a 'space-based' correction format. This means that corrections are generated for actual satellite orbit position and satellite clock for all GPS (and, in the near future, all GLONASS) satellites. This is not the same for an RTK solution (as RTK base corrects pseudo-range measurements from the satellites under track). There are two major elements as to how the StarFire process is accomplished.The First is how corrections are created and the second is how these corrections are applied by the navigation processor.Considering that a single satellite is tracked by multiple reference stations on the earth surface, each point sees exactly the same satellite signal but with the normal satellite position, satellite clock, pseurorange, ionospheric and other errors as a traditional base reference station. Each reference station provides its satellite measurement data and position to a central processing computer. The computer takes the data from all reference stations that 'see' the same satellites and computes corrections for the satellite orbit and clock. 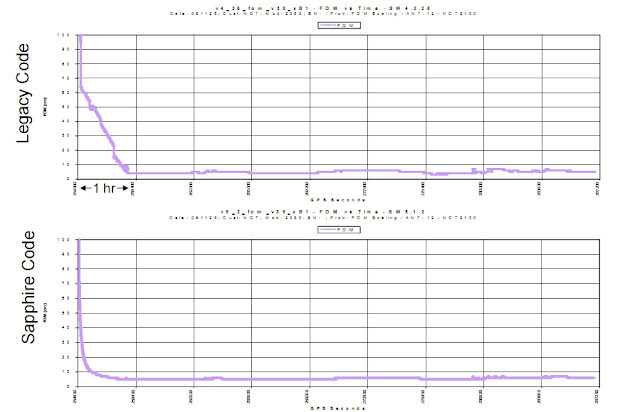 These can be calculated since the ionospheric differences and other range measurement errors can be filtered. The second component is the navigation software or algorithms to properly apply the StarFire correction message. Since the processing computer generates a single global correction for each and every satellite, the receiver needs to 'understand' this unique message and how to properly employ it (some of which includes filtering techniques to achieve the final attainable accuracy levels of less than 10cm!). PointsandPixels: What is the current performance of StarFire? Steve: StarFire performance can be expressed in several way. 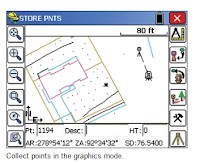 These include convergence, accuracy, sustainability, QuickStart and RTK-Extend. Convergence: This is the time it takes to achieve the published specifications. In our previous product lines(i.e. the Legacy code), this typically required between 30 to 45 minutes of uninterrupted operating time. While for the SF-3050(i.e. Sapphire code), the same specification exists with a noticeable improvement (~20minutes) as tabulated below. 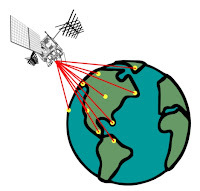 Accuracy: It is determined by the number of satellites being tracked and used in the navigation algorithm. Their relative geometry and the length of time that StarFire corrections have been continuously applied to the navigation solution (as depicted above). The accuracy specifications of less than 10cm (horizontal) is a 24-hour 1-sigma calculation. StarFire typically produces results in the 6-8cm range quite reliably. Sustainability: This is achieved via continuous GPS signal tracking (in much the same way as RTK performance requires continuous signal tracking). Once the receiver drops out of navigation (e.g., the receiver traverses under a bridge), the convergence period begins all over again because the receiver will have different satellite phase signal characteristics once the signals are re-acquired. QuickStart: This is a method of attaining the less than 10cm accuracy without going through the full convergence period (as described above). The receiver can be within the performance specifications in less than 5 minutes if the QuickStart function is initiated from a precisely known point. Information on this can be found in the StarUtil-3000 User Guide on our website. RTK-Extend: This is a unique Navcom patented technique that combines RTK and StarFire technologies to extend the 'footprint' in areas where RTK telemetry tracking proves difficult. 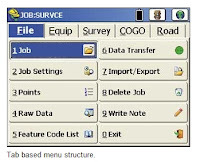 When a user is performing an RTK survey, the receiver also tracks the StarFire satellites. If the RTK correction link is interrupted, the receiver can coast on the StarFire correction signal for up to 15 minutes from a Navcom proprietary correction and up to 7 minutes on CMR(+) or RTCM correction from a Navcom base. 3. StarFire data sheet in pdf format. This is the second segment of a 4-part series of interview questions posted to Mr Steve Ault, the Technical Support Manager of Navcom Technology, Inc., who conducted training for our sales and field personnel in early November 2009. PointsandPixels: Who is Navcom Technology, Inc.? Steve: The founders of Navcom Technology, Inc., (NTI) were pioneers in the GPS industry. Most of them worked for Magnavox GPS research and development for more than a decade before joining NTI. In fact, some of them even worked on the old Transit satellite system and Omega rover navigation system primarily used in commercial marine and military applications. 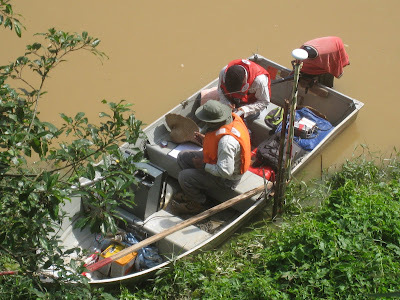 Some members of our research and development team have spent more than half a century in the fields of surveying, navigation, and geodesy instrumentation. Their experience is propagated to a much younger and culturally diversed group of engineers coming from different countries around the world. PointsandPixels: What is your connection with John Deere, Inc.? Steve: NTI is a wholely-owned subsidiary of John Deere, Inc. (JDI). While one can read about the successful relationship cultivated and merged by the founders of JDI, the depth of knowledge and experience within this industry seems nearly as old as JDI itself. Just like John Deere, the Navcom brand holds high performance standards and expectations, builds reliable and durable products and works closely with its dealers and channel partners to ensure that customer issues are addressed appropriately. PointsandPixels: The latest offering by Navcom are the SF-3050 GPS/GNSS Receivers. What is so special about these machines? Steve: The SF-3050 has incorporated many innovations of previous generations of GPS technology. To name a few, ethernet and USB high speed data ports, bluetooth interoperability, increased internal memory and new GUI design have helped to fulfill the needs of present day applications. ASCII command interface is easy to understand and this makes configuration of receivers very flexible. The StarUtil-3000 GUI program provides a tool for parsing binary data to ASCII format (which allows further analysis to be carried out in spreadsheets). The scalable software features makes the SF-3050 a very economical product to systems integrators as well. Customers can start off with low-cost receivers and, as time for integration and testing comes, upgrade to higher levels of capability to help control integration costs. This is a benefit not inherently obvious in this product. 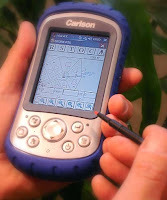 Tools for integrating third-party applications (such as Carlson SurvCE and Grade) were co-developed leading into its production. Also included in the SF-3050 toolbox is the Rinex conversion utility which allows users to user SF-3050 data in most currently available post-processing programs. 2. SF3050 data sheet/brochure in pdf file.